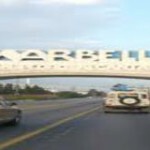 According to reports in the press tow people have been arrested on Marbella on suspicion of drug trafficking. It is reported that Police recovered 1884 grams of cocaine, 50 of hashish and 5,000 euros in cash. It is understood the police also seized seized a simulated gun, three precision scales, four laptops and seven mobile phones, among other effects.